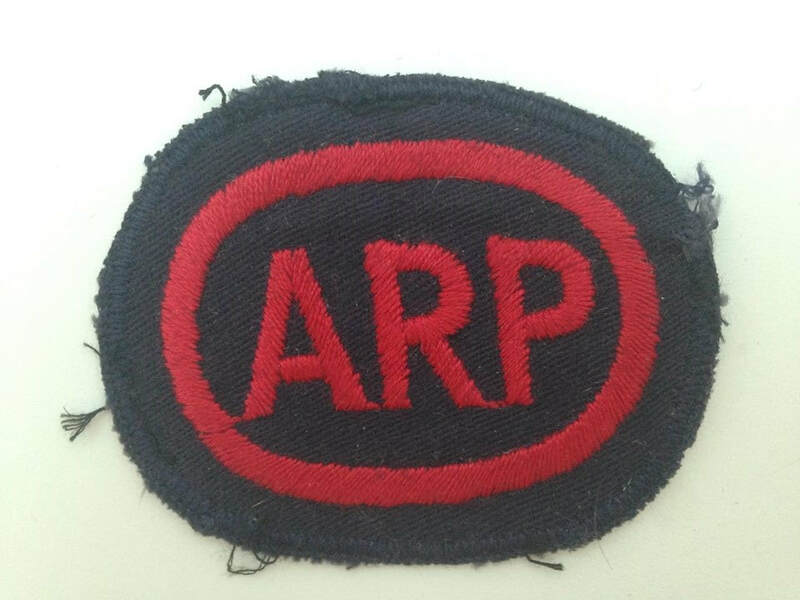 At the beginning of WW2, air raid wardens undertaking ARP work wore their civilian clothes with the silver ARP lapel badge, helmet and an armband (various designs exist as local authorities bought as they saw fit) whilst on duty. 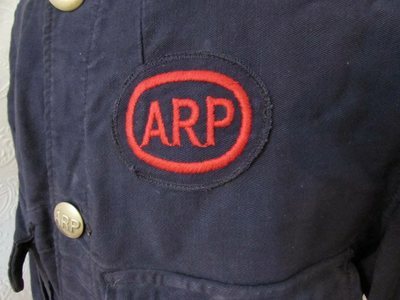 From October 1939, over a million ARP Pattern 41 bluette overalls - called a Combination Suit but very similar to a boiler suit - were issued (bluette is a type of durable heavy cotton denim). 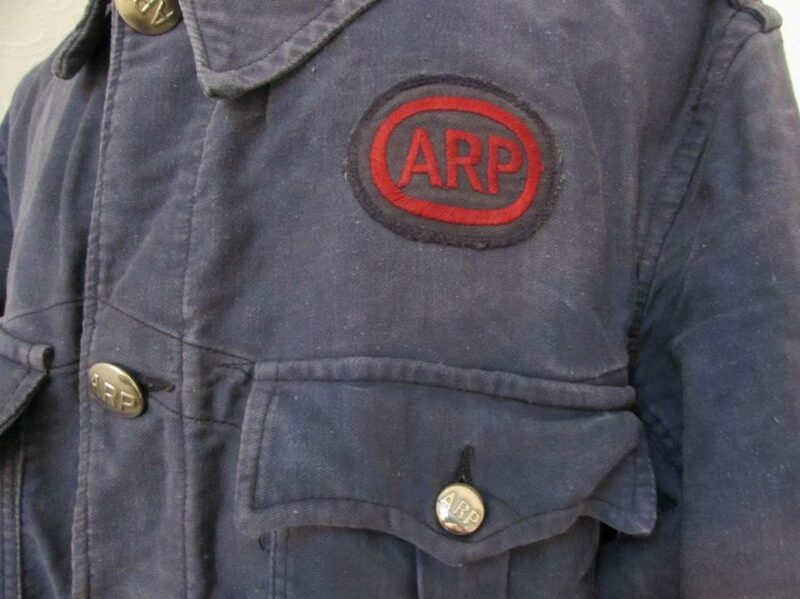 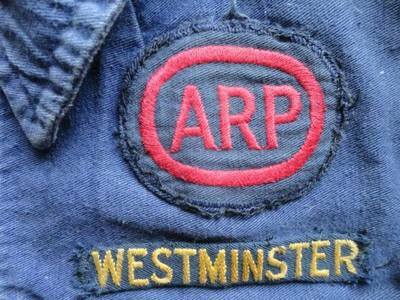 Theoveralls featured a black oval badge with ARP written in red often with a red border. 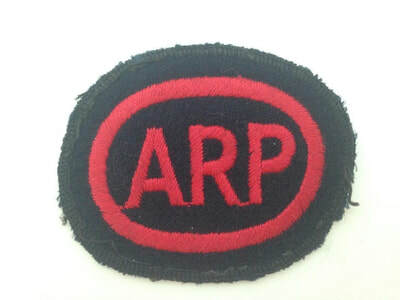 Area markings were sometimes added above or below the ARP badge and sometimes above the right pocket. 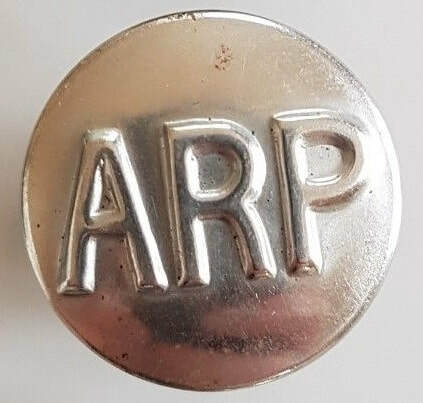 Chrome buttons with 'ARP' on them featured on the closure, breast pockets and shoulder epaulettes. 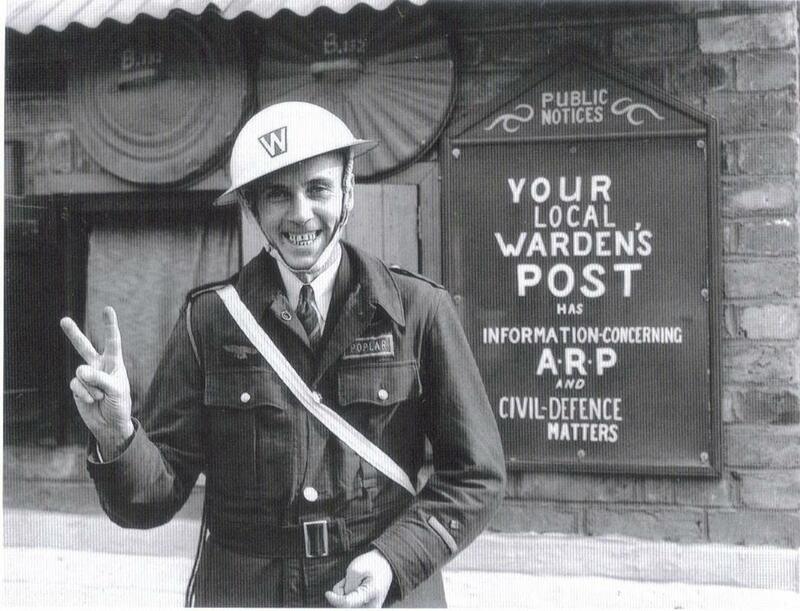 ​There exists a WW2 photograph of a warden in Chelsea wearing an oval ARW (for Air Raid Warden) on his overalls. 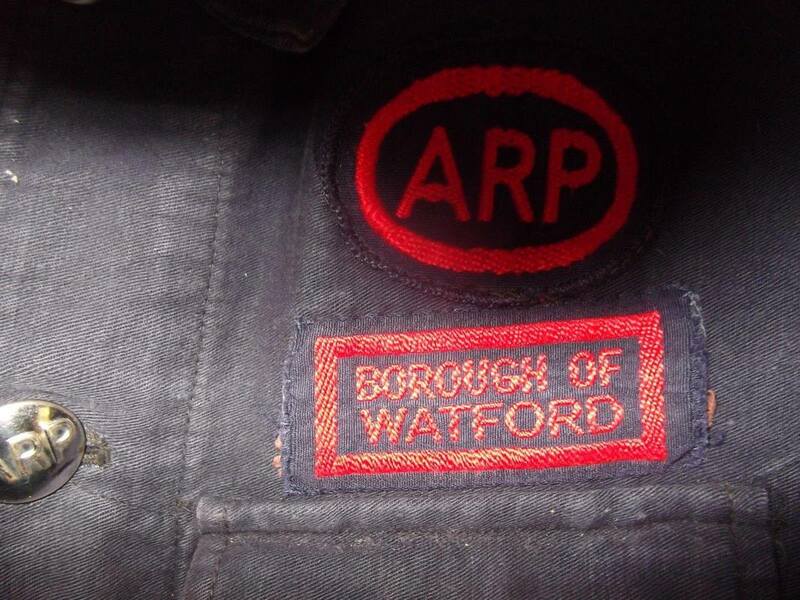 This borough initially wore an all brown overall. The inferior quality of the overalls was quickly discovered though. 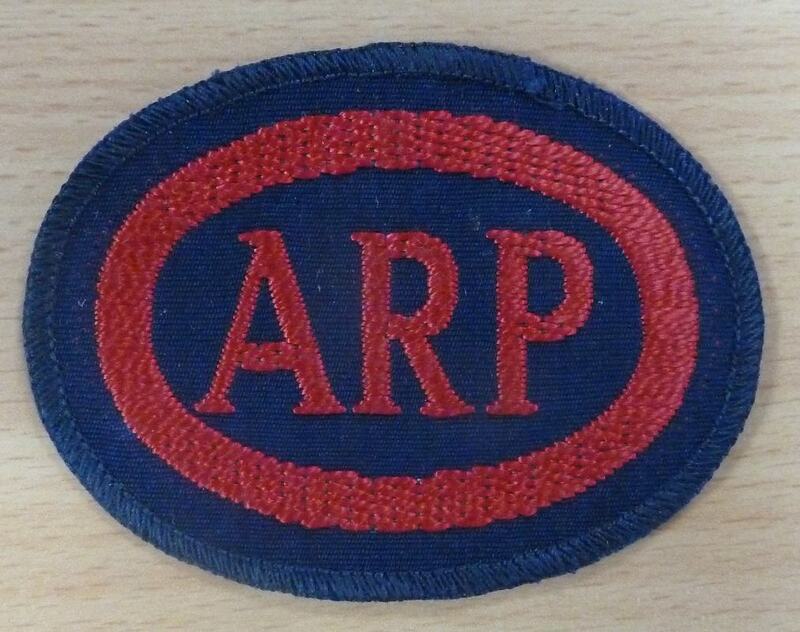 During the Blitz of 1940 it was found that rescue and first aid squads would damage the garment during their work. 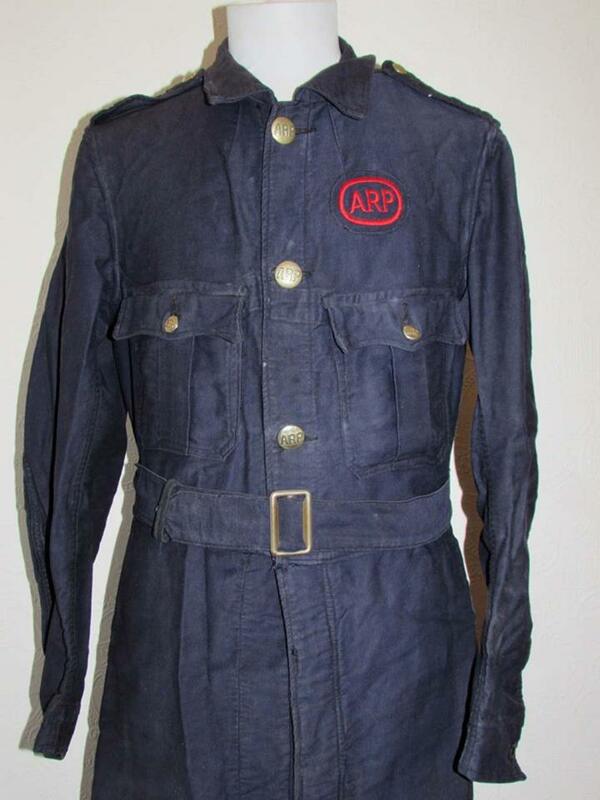 It quickly became apparent that a more durable uniform would be required - this was to be the serge battledress - and was issued for the remainder of the second world war. 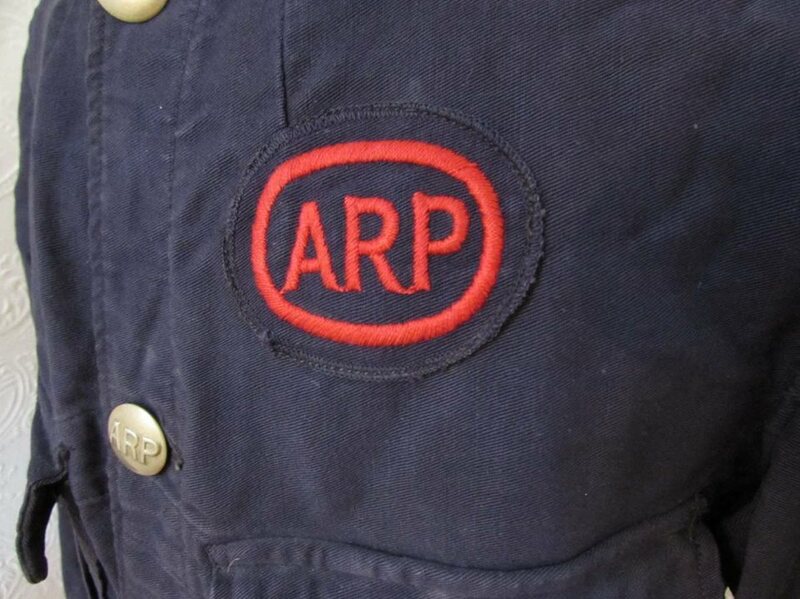 The bluette overalls featured three larger 25mm ARP buttons on the centre closure. The breast pockets and epaulattes featured the smaller 18mm ARP buttons. 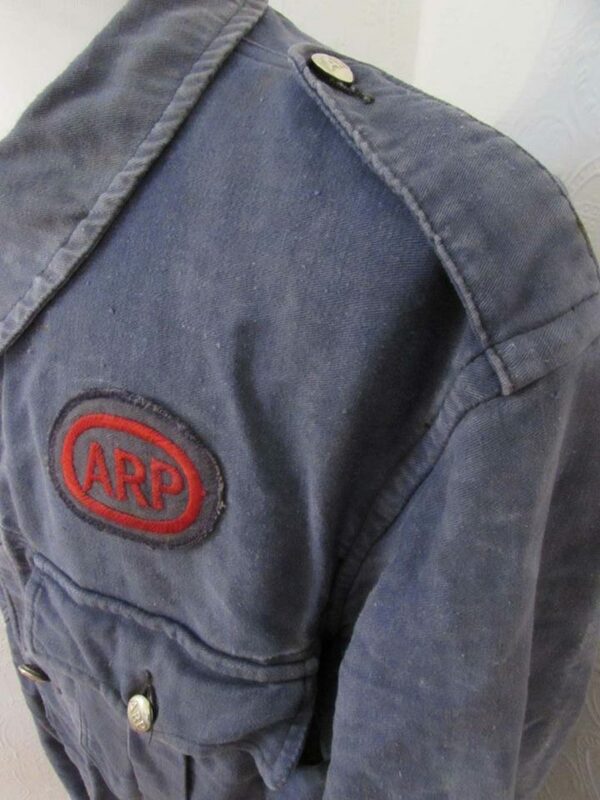 All buttons were held in place with small circular rings that allowed the buttons to be removed when the overalls were washed.. 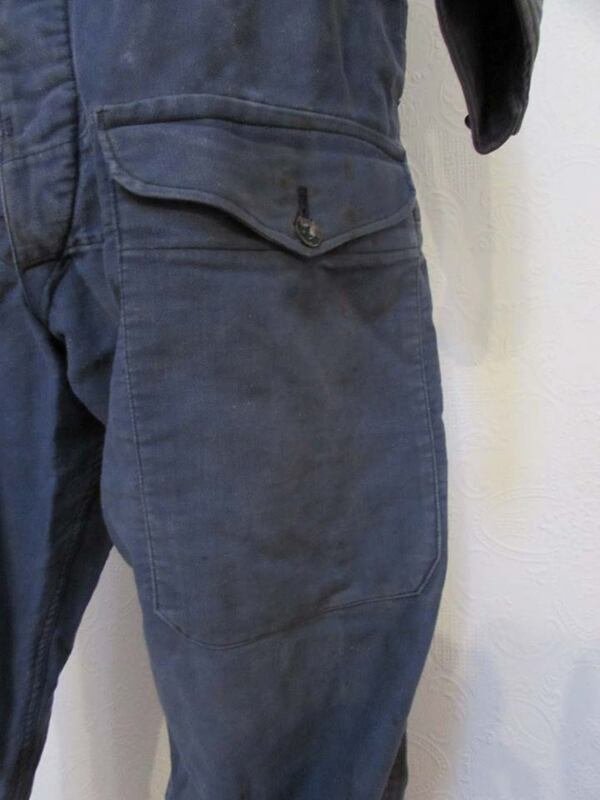 The leg pocket had a flap held in place by a four hole small metal dish button. 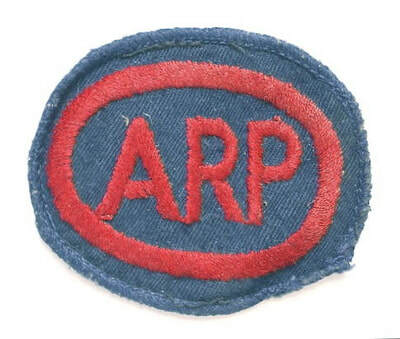 Many bluette overalls had the below badge attached. These badges were also later sewn onto the Battledress blouse as well. A number of samples for the ARP badge were created before the oval badge was adopted. 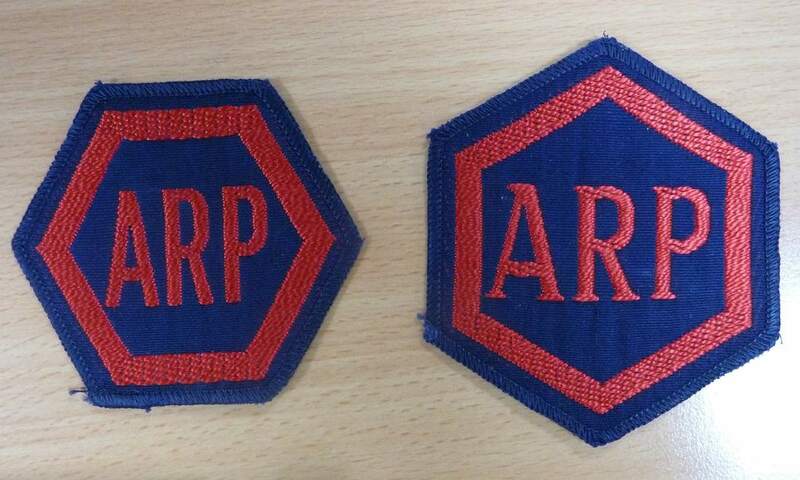 These samples are from a file in the National Archives. Bluette overalls featured a button closure. 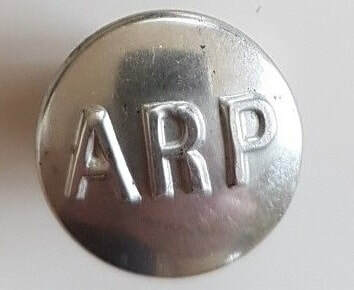 Two sizes of buttons were manufactured - a larger 25mm and a smaller 18mm for epaulettes. To display rank with the ARP service, a series of red bars without and without a diamond were introduced at the beginning of the second world war. 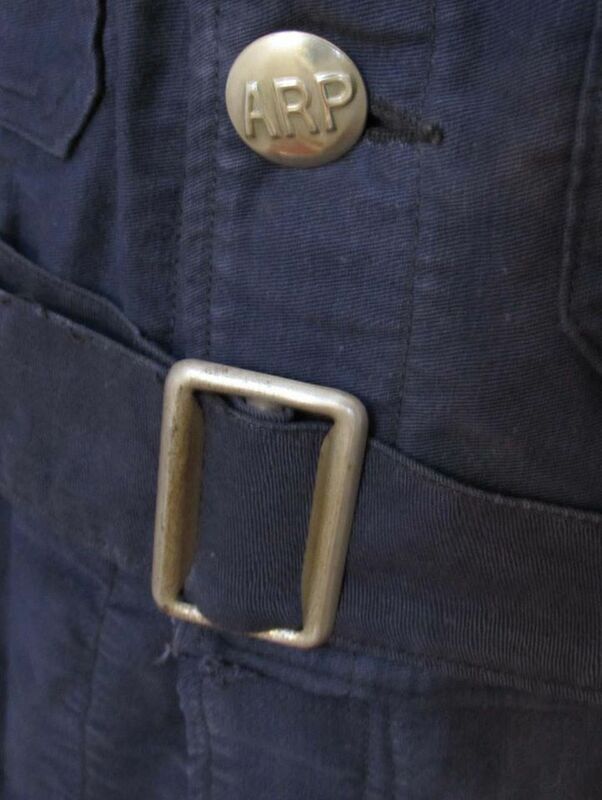 These were worn on both sleeves of the bluette overalls, and stipulated for the bottom bar to be placed four inches from the cuff. 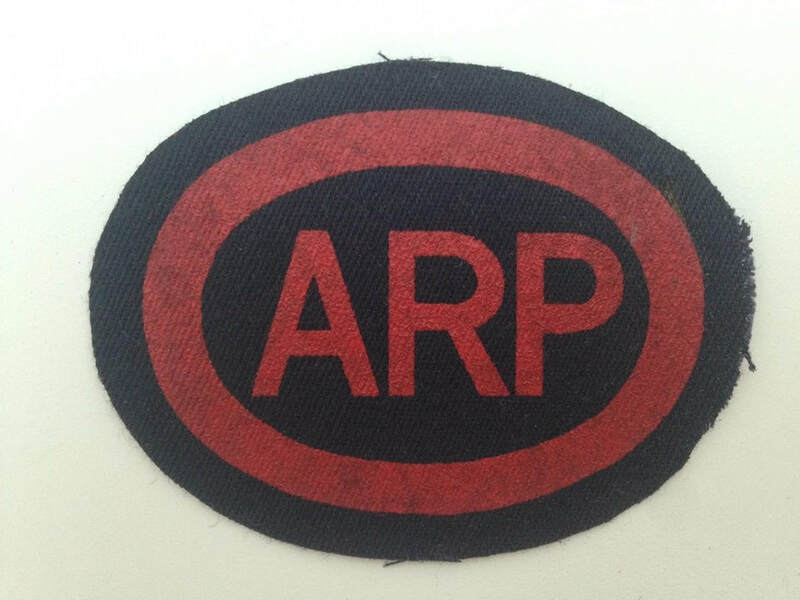 The red bars, either embroidered or printed, were three inches long by half an inch wide and were spaced a quarter of an inch apart. Red diamonds had sides half an inch long. 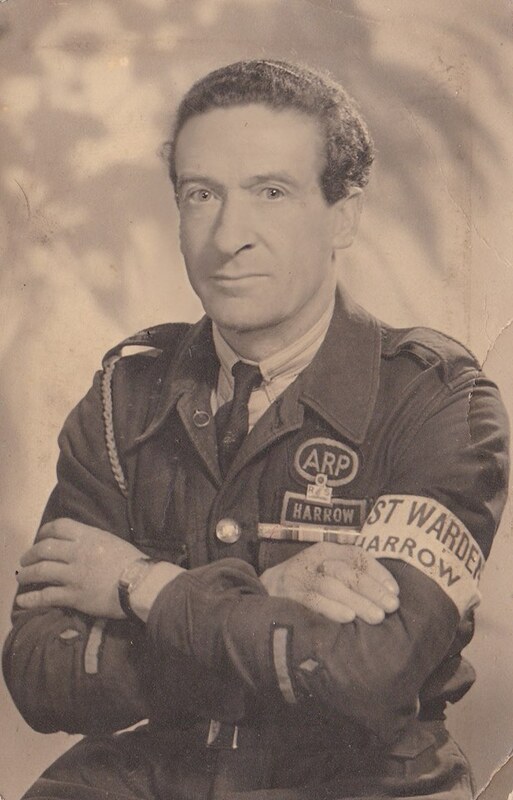 Post, District and Chief Wardens had one, two or three red bars with a red diamond surmounted above respectively; their deputies wore bars without the diamond. 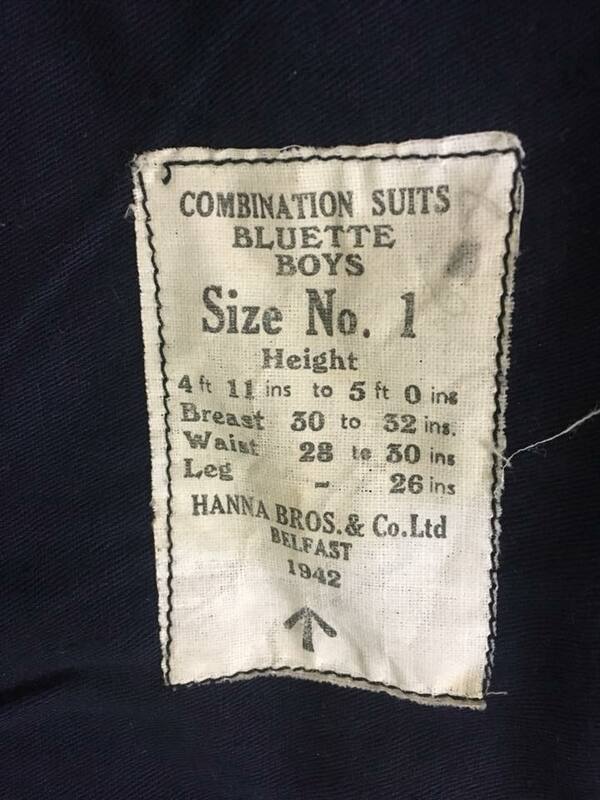 A version of the bluette overalls was manufactured in a size suitable for boys. It featured a simple stand up collar, a single breast pocket without flap, concealed button closure with plain buttons to the front and no epaulettes. An ARP Post Warden (single red bar and diamond on sleeve) from Popular in London wearing the bluette overalls. 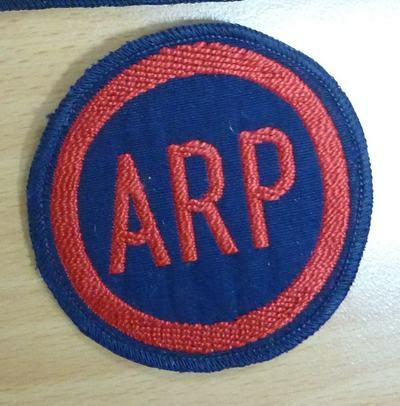 On his sleeve is the bar and diamond rank insignia.